Since nowadays most people carry a mobile device, apps have become perfect for service and support. The simplicity and convenience make it easier for customers to discover local businesses. That is why many customers expect companies to have their own mobile app. We collected a list of reasons why your company should go mobile and what benefits you can get from it. Designed based on usability, mobile apps are convenient to use. Rather than scrolling a website on a small screen, people prefer to download an app and follow the guidance. User friendly interface, contact buttons and fast order processing are the biggest advantages of apps. Everyone likes rewards, so applications are the perfect platform to organize a campaign and entertain your customers. You can give presents to current clients or engage new ones with discounts they can get by using your services through mobile. All kinds of prizes drawing and giveaways combine fun and social elements that can be beneficial for your business. On the other hand your app can inform customers about news and updates. A great example of this is lock screen notifications, which are more likely seen throughout the day. Statistics prove that If you have a mobile app that makes the buying process easier than before, your customers will use it. No one wants to experience a long and difficult purchasing process, and every customer will prefer easier shopping. Use it for your business and get more income. Since customers download the app on mobile, it becomes a part of the device and its owners life. In this way, an app will regularly remind the user about the brand specifically. Unlike other marketing techniques, this one is absolutely free. And can create brand awareness and loyalty between existing users. Whether you own a medical clinic or a restaurant, coffee shop or you are a specialist in another area, you need an app. Your small business will be head and shoulders above the competition once you arrange a comfortable platform for users. 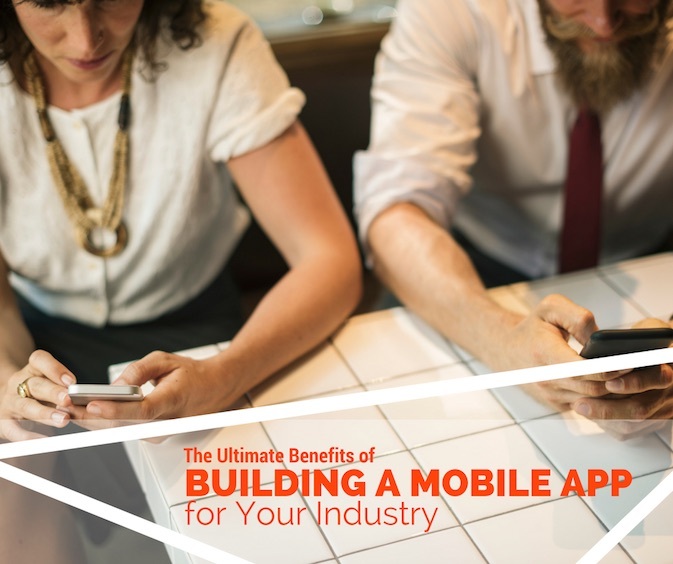 Well known companies like Uber, Starbucks and Dominos have proved that building an app for your customers guarantees breakthroughs in sales. So if you still don't have an app, get one. Include developing an application to marketing plan for next year and bring your company to a next level. You can't ignore the fact that mobile apps for all business functions became a trend. For better managing office workers and staff, back-office functions and systems mobile apps are also an excellent solution. In order to conduct the business you need to be able to communicate and give your workers access to comprehensive data. The right mobile app gives the service histories, record asset details, usage etc. But the most beneficial feature is convenience of mobile devices and how easy workers can reach materials from anywhere. It helps to interact faster, collaborate with others from different devices and at anytime.Since nowadays most people carry a mobile device, apps have become perfect for service and support. The simplicity and convenience make it easier for customers to discover local businesses. That is why many customers expect companies to have their own mobile app. If you are ready to have your own mobile application for your business and take advantage of its benefits, contact us at info@thebrainpixels.com and we will help you build it.